Every person interacting with you through your website is an opportunity. With GetSiteControl you can turn all website visitor engagement into leads automatically created in your HubSpot account. Create custom contact forms for technical support or sales, conduct online surveys, collect email newsletter subscribers and send all collected data directly to HubSpot. This integration requires both GetSiteControl and HubSpot. Learn more. With three form types and endless customization possibilities, GetSiteControl covers all of your form needs: collect email subscribers, create exit-intent forms, collect feedback, create call-back forms, job application forms or custom online surveys, and easily manage all of your website forms from a single dashboard. Connect GetSiteControl to HubSpot and instantly send data collected by your GetSiteControl forms to HubSpot. Have full control over your forms’ behavior: choose to start and stop them based on scrolling, after a set amount of time, on a certain date or day of the week. 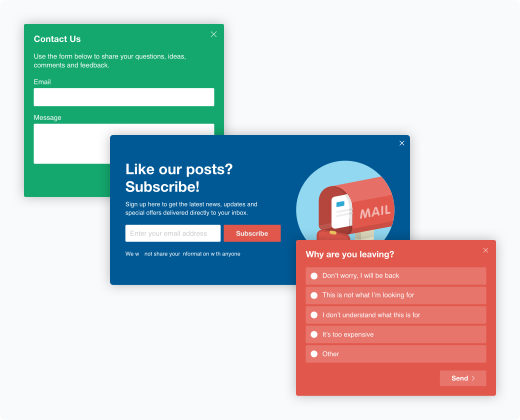 Create exit-intent forms to stop abandoning visitors. 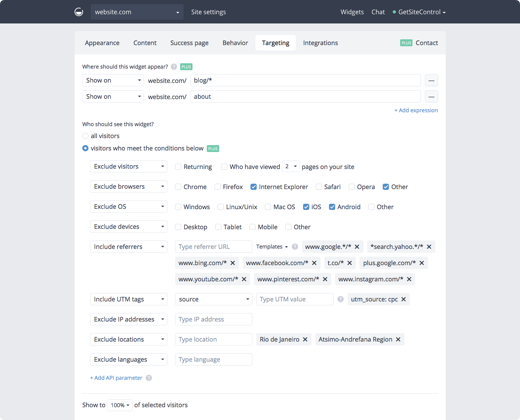 Target visitors by country, device, browser, OS, traffic source, IP or UTM parameters, target new or returning visitors. Show forms on selected pages only or site-wide. 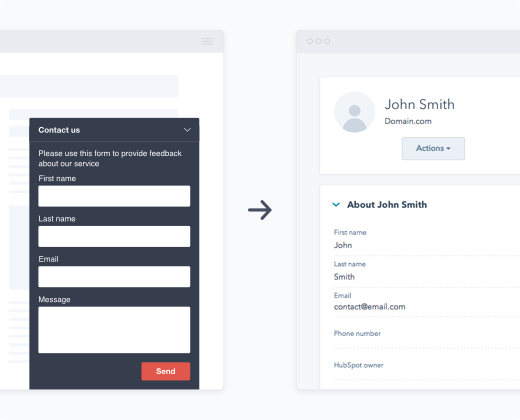 This integration allows you to create custom contact forms, online surveys and opt-in forms connected directly to HubSpot.